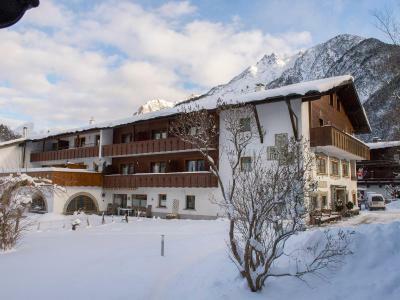 Lock in a great price for Frankenhof – rated 9 by recent guests! Outstanding in every aspect! Special in every way! We will always come back to the Frankenhof! Very clean, excellent breakfast, personable host. I will always come back to the Frankenhof. The best in everything!!! 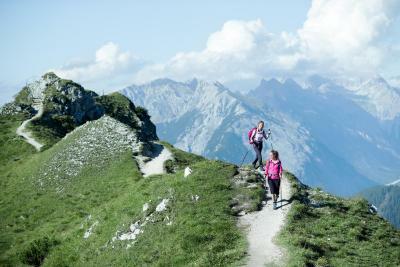 Great location for hiking in Karwendel. 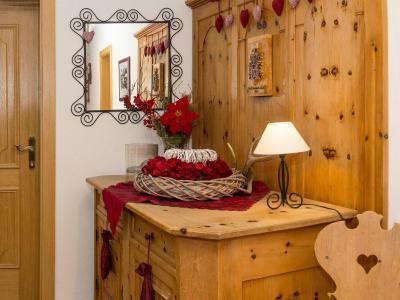 Located about 10 minutes from Seefeld this property has easy parking, a nice breakfast, a VERY spacious room and is immaculate. It has a real 'ski hotel' feel to it even though we visited in May. 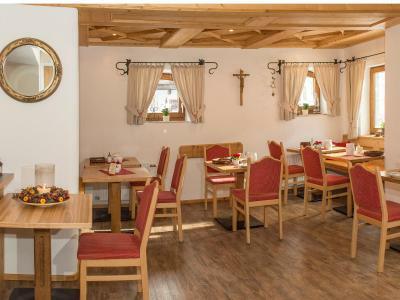 If you want access to Seefeld in Tirol but don't want to pay the prices or deal with the parking there then you can save 50% by staying here. The area is quiet and the room was more like an apartment. Separate bedroom and living room (door) and even a nice terrace! There was a stove top for cooking and a nice small refrigerator too. We saved by cooking one meal for ourselves (shopping for food in the market was fun too). The bed is just perfectly big like at home and on breakfast you can definitely find something that you need and like. The best of the best is the host! She is always available to answer your questions and fulfill your needs. She is just great! Great value for money -.friendly owner, super spacious family apartment. Nice clean hotel, friendly service, good breakfast. Enjoyed our stay. No complaints at all. The location is excellent. We loved this little village. Plenty of options to spend 3 days in the area. The pension was lovely decorated. Average breakfast, but all the facilities you need for a weekend break. The room is maintained to a high standard, well equipped, very clean, spacious, comfortable and pleasant. We loved the sauna (new, big, and infrequently used!) And the amazing customer service. Perfect English and super flexible with a late check out possible. Lovely big, clean and quiet rooms. 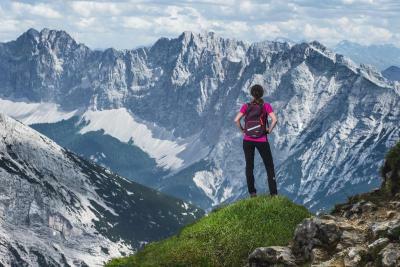 View was incredible, and the free bus service to seefeld meant very easy access to ski slopes. Also have a train so many easy ways to get there and back. Such great value for money we will come back again and refer our friends! Nearly new facility, very clean and staffs are very kind and helpful all the time. Frankenhof This rating is a reflection of how the property compares to the industry standard when it comes to price, facilities and services available. It's based on a self-evaluation by the property. Use this rating to help choose your stay! 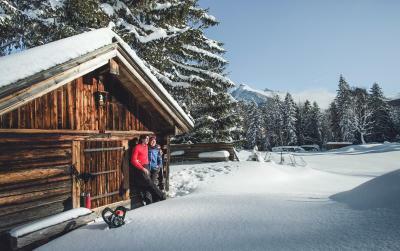 Located at the entrance to the Karwendel Alpine Park in Scharnitz, the Frankenhof features free sauna facilities and free Wi-Fi in all areas, as well as a garden with sunbathing area and a playground. 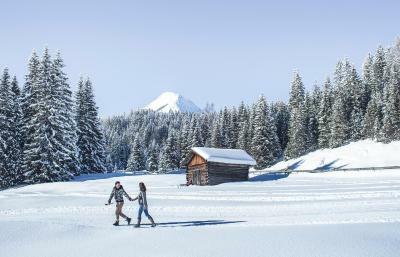 A beginners' ski elevator is 2 minutes' walk away. The hotel offers comfortable accommodations with a flat-screen satellite TV. Each unit is also provided with a safety deposit box, and contains a private bathroom. Most of them have a balcony. Apartments include cooking facilities as well. Hotel guests are offered a rich breakfast buffet, while guests of the apartments are provided with fresh bread rolls in the morning. 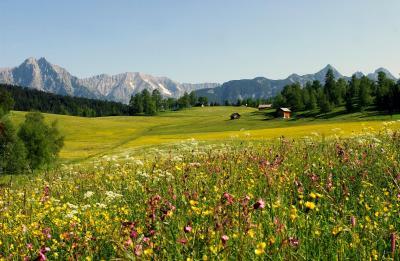 The Frankenhof is a good base for hiking and cycling trips (bicycle rental is offered on-site) to the Karwendel or Wetterstein Mountains. 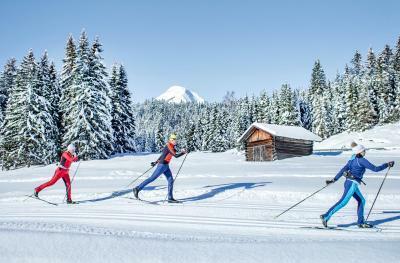 Directly behind the property there is a cross-country ski run, which is part of a network stretching across the entire Seefeld Plateau (168 mi in total). 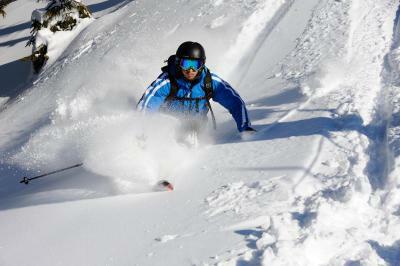 The Rosshütte ski area in Seefeld is about a 10-minute drive away and a ski bus is going every 2 hours. 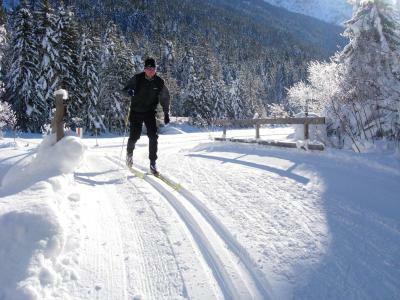 2 natural toboggan runs, floodlit tobogganing and snowshoe hiking are available as well. The Isar River offers great opportunities to go canoeing. 2 taxi companies take guests to the starting points. Boats and trailers can be stored at the Frankenhof. 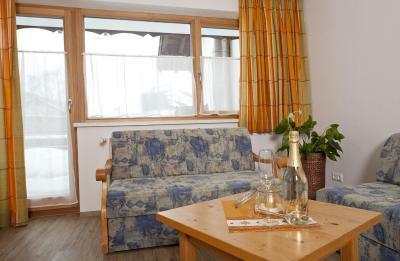 This property is also rated for the best value in Scharnitz! Guests are getting more for their money when compared to other properties in this city. 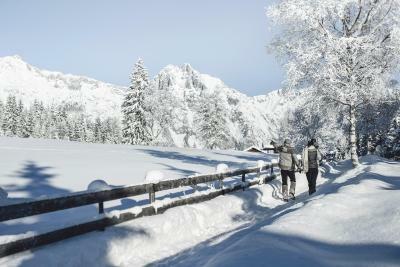 When would you like to stay at Frankenhof? This spacious rooms have a flat-screen TV with satellite channels, and a bathroom. Most of the rooms have a balcony. This apartment has a balcony and terrace with mountain views, a flat-screen TV with satellite channels, a kitchenette, dining area, and bathroom. This apartment has a balcony with mountain views, a flat-screen TV with satellite channels, a kitchen, dining area, and bathroom. Spacious rooms with flat-screen TV with satellite channels and a private bathroom. Most of the rooms have a balcony. This family room has a balcony, flat-screen TV and mountain view. House Rules Frankenhof takes special requests – add in the next step! Frankenhof accepts these cards and reserves the right to temporarily hold an amount prior to arrival. No elevator. City bell wakes you up at 6AM. Car noise from the street. Very small bath. Limited breakfast and extra charge for scrambeled or benedict egg. Noise from next door rooms. The way out of that place. Nice view from the window, very clean, nice hosts, style and xmas decorations, good breakfast. Everything was really good! The bed creaks badly. Breakfast eggs are not free. Awesome location, nice room with kitchen. Friendly staff, good breakfast. Free parking. The staff is very helpful. He offered all the things we needed. We are grateful for him. Very nice room with kitchen. Breakfast was not included into the price but was real worth to pay. The hotel was in the centre of the small village and restaurants were very close. Parking was very easy and the hotel was very close to the mountains.